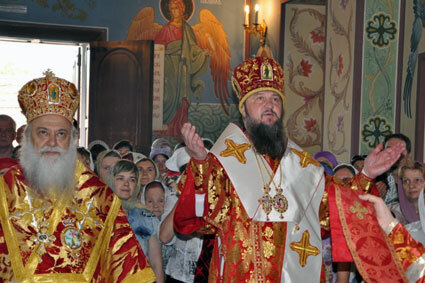 Metropolitan Panteleimon of Beroia of the Constantinopolitan Orthodox Church in Greek-occupied Macedonia visited the breakaway Republic of Transdniestria in Moldova over the weekend at the invitation of Bishop Savva (Volkov) of Tiraspol' to celebrate the legacy of Sts. Cyril and Methodius in the formation of the Slavonic language and the conversion of the Slavs to Orthodoxy. More (in Greek) here.